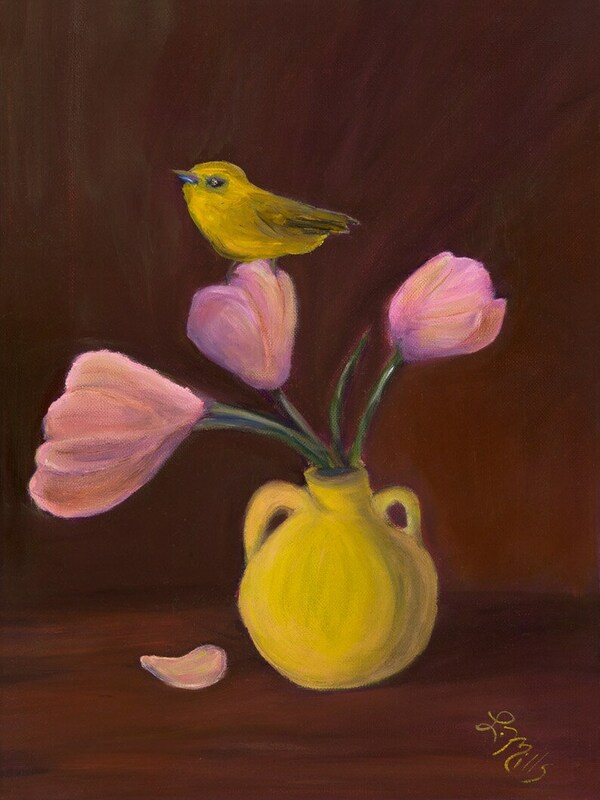 Bliss is a sweet painting of a yellow bird perched on a pink tulip in a yellow vase, framed in a vintage gold frame. This still life measures 11 by 14 and is painted on traditional gallery canvas with .75 inch sides. 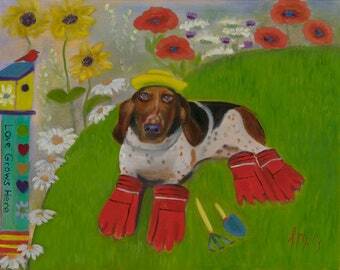 All my paintings are varnished for protection .